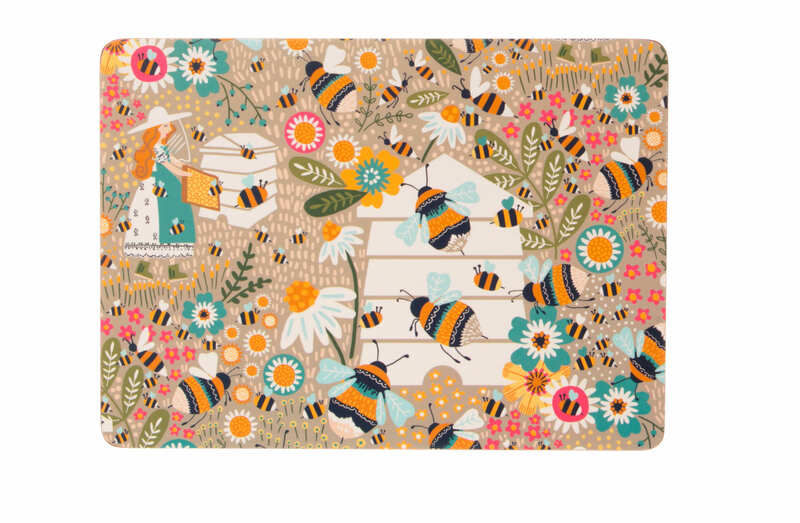 A design Inspired by peoples love for bumble bees, beekeeping and daisies and illustrates a wonderful meadow like scene. The soft oatmeal colour background gives a natural finish with pops of flowers. A pack of 4 placemats, size 29cm x 21cm which will protect your table from heat or food spills.